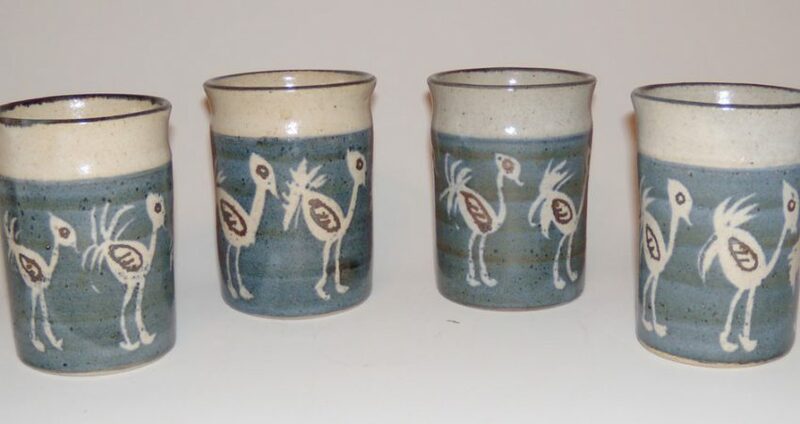 Tumblers by Ken Klostermeyer. "Spaces, Places & Things", featuring the work of Ken Klostermeyer and Roger Prochaska, both of Salina, opens at the Lincoln Art Center Friday, November 11 from 5:30 - 7:30, with a gallery walk at 6:15. This exhibit runs through January 3, 2017. LINCOLN – “Spaces, Places & Things”, featuring the work of Ken Klostermeyer and Roger Prochaska, both of Salina, opens at the Lincoln Art Center Friday, November 11 from 5:30 – 7:30, with a gallery walk at 6:15. This exhibit runs through January 3, 2017. Klostermeyer began his career with a studio art degree from Bethany College, then taught pottery at Marymount College and Kansas Wesleyan University. 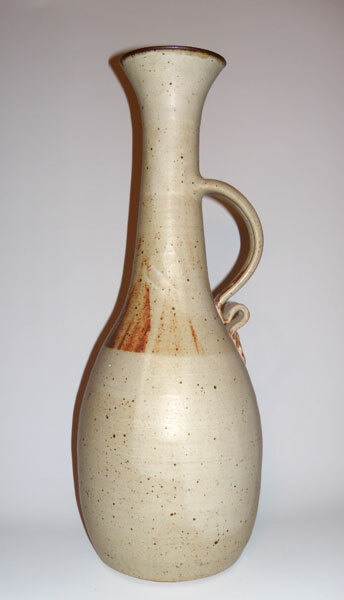 Wheel thrown stoneware and porcelain incorporating a variety of decorating techniques, including carving, incising, application of oxides and glazes, constitute the majority of his works. Ken’s ceramics have been exhibited in invitational shows at Bethany College, Marymount College, the Smoky Hill River Festival, and the Birger Sandzen Gallery, the Bluestem Gallery, Bergen’s Gallery and Kansas Artist and Craftsman Association exhibits in Wichita, Topeka and Hays. This show represents a retrospective of Ken’s work, illustrating his use of a variety of clay bodies, techniques and glazes. Prochaska’s paintings are inspired by a number of subjects but especially early western life, the first pioneers, settlers and cowboys. Many of these individuals have an emotional story that can be told though their eyes and hands. His goal is to have his audience come away with an experience of quiet introspection. This exhibit is free and open to the public Tuesday-Friday Noon-4:00 and Saturday 9:00 am to Noon at the Lincoln Art Center, 126 E. Lincoln Ave., Lincoln, Kansas 67455. For more information call the art center at 785-524-3241 or visit lincolnartcenter.org. The Lincoln Art Center invites you to our 2016 Annual Benefit Auction on Saturday October 29, 2016. Watch our FaceBook page this holiday shopping season for gift ideas of unique, hand-crafted items made by local artists.